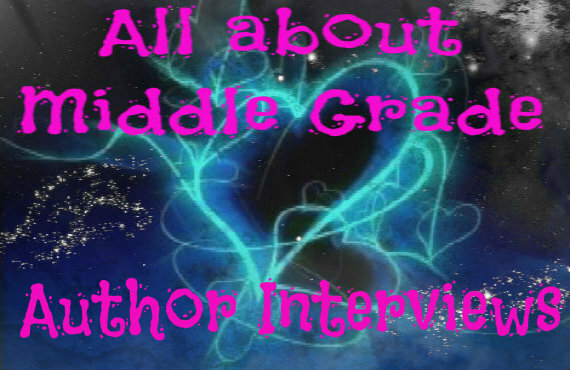 This week, I am very excited to welcome middle grade author Margo Sorenson (Island Danger & Time of Honor) to the blog. Hope y'all will give her a very warm welcome. A National Milken Educator and author of 28 books for young readers, Margo Sorenson scrambles to keep up with her grandchildren’s expanding universes in this new digital age. Her most recent middle grade ebook mystery/adventure, TIME OF HONOR, was published in October 2012. You can read more about Margo’s books and interviews/reviews on her website, www.margosorenson.com. Her books can be ordered through many outlets using the website links, including the publishers’ websites, www.amazon.com, and others. 1. 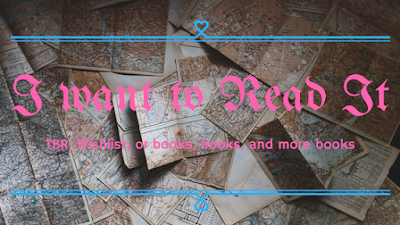 Can you tell us a little about your book, Time for Honor? Fourteen-year-old Connor’s smart mouth gets her in and—luckily—out of trouble on her prep school’s debate team and in the classroom. On a field trip to the U.K., when she is suddenly catapulted into the year 1272, she finds her royal new friends’ lives are threatened by a conspiracy fueled by greed. When William and Maud learn that their father has been murdered on the Crusade, they beg her to help them find who is plotting against them. William must confront his enemy in battle, but what does Connor discover about herself and her ability to use words when she tries to save her new friends—and herself? 2. What made you want to write a book where the main character travels through time? Was it difficult? As a medieval history major (anything before 1600 is way too modern for me! ), I’d always wanted to live back in the Middle Ages, and, growing up seeing castles and such in Europe, it wasn’t too big a jump to write myself back into that time. I’ve written other time-travel adventures (my adventure-biographies of Langston Hughes, Dr. Martin Luther King, Jr., Cesar Chavez, etc. ), and it was always so much fun to juxtapose a modern kid with history, highlighting the contrasts and similarities, so it was a natural plot progression for me. When I was writing this manuscript, it was always so hard to drag myself back into the 21st century! 3. What did you enjoy most while writing Time for Honor? It was so much fun actually “living” in the time! Writing it was like watching a movie where I was living in my favorite time period, and that “present moment” factor was a good check on helping me to make sure my research was as accurate as I could make it. For example, when Connor gets dressed in her new gown, she has to know how clothes were fastened (no to zippers!) and where clothes were stored (no closets!). Connor cringes to think that the servants might not have made a thorough “flea-check” on the gowns, of course. There are so many minute details of our daily life routines that we take for granted that didn’t exist in 1272, and all of those details helped to make the time period come alive for me. It really was about being in the moment. 4. What were the most interesting things you learned while researching the setting for Time for Honor? There were lots of interesting things I learned, and one of them was that even noble people didn’t have forks, only spoons and knives, and they used “trenchers” of bread for their meals, not plates. Connor has to figure out how to deal with these drastic lifestyle differences and not let the others see that some of them – like having to share a goblet with your dinner companion -- really gross her out. She has a serious challenge pretending that she really does belong in 1272, and thus not alerting her new friends -- or the villains -- that she isn’t who she purports to be, thus putting herself in grave danger. 5. Where there any difficulties that you came across while writing a time travel(ish) book? One of the difficulties was that because I so love the Middle Ages I would get off on a tangent and put in way many more details than were necessary – details that would, no doubt, put the readers to sleep! I had to cut a lot of information that I thought was fascinating, but I had to stop kidding myself that young readers would find it equally mesmerizing. The other difficulty was to choose which would be the best aspects of life in the Middle Ages to compare and contrast with today’s that would intrigue and affect young readers the most. I wanted them to see dramatically the differences between their lives today and the thirteenth century – but without boring them. Connor was the best main character to do that, because she has a smart phone and a computer and is very knowledgeable about travel and the world, so the contrast between her own world and that of 1272 is very drastic. She has to ride a horse instead of taking a taxi to find Akbar the Spice-Seller so she can try to finesse the information out of him about a murder, and it takes her hours to travel the distance that the tour bus took fifteen minutes to reach. Her use of current 21st century slang is a definite red flag, so she has to really watch what comes out of her mouth, because if she doesn’t, she will put herself in danger. For example, she can’t say, “I have your back,” or, “That’s cool,” or others will become suspicious of who she really is and where she’s from. When she slips up and uses the current vernacular she’s used to using, her friends William and Maud will say, “Methinks they speak strangely in Chadbourne,” the latter being the name of her prep school, which they fortunately assume is the name of her family’s fiefdom. 6. Any new projects that you're working on at the moment? I’m working on revisions for an adult historical romance (yes, the Middle Ages!) for an adult romance publisher and am working on a contemporary YA novel set in Italy, complete with Mafia-type organized crime and lots of Italian details, including cute Italian guys. In addition to those, I’m always revising my many picture book manuscripts, none of which take place in the Middle Ages, though two of my published picture books are set in medieval times, AMBROSE AND THE PRINCESS and AMBROSE AND THE CATHEDRAL DREAM. 7. Last book that you read? What did you think of it? The last book I read was FRIENDS IN HIGH PLACES by Donna Leon, one of her murder mysteries set in Venice, featuring the redoubtable Commissario Guido Brunetti. I am a big fan of hers, so of course I loved the intricate plotting, the authentic Italian setting and depiction of Italian daily living, and the characters of Guido and all his family. She puts together the whole package! 8. The world has fallen to a robot invasion and only one heroine/hero can possibly save the day, whom do you choose? I choose Atticus Finch, whose famous line, when he was checking the thought processes of Scout and Jem, in TO KILL A MOCKINGBIRD was, “Do you really think so?” His calmness and thoroughness and his integrity and courage would overcome the robots in a heartbeat. 9. Care to share your writing cave with us (include a picture if you want)? Sure – here’s a picture! You can see pictures of my grandkids, a little row of some of my favorite childhood books, and the pads of paper I use to jot notes to myself about manuscripts that I’m working on. But, honestly, my writing cave is also anywhere I am with my ever-present notebook and pencil, which is how I write my first drafts of picture books and my outlines and first chapters of longer works. It’s only later that I begin transferring the words onto my laptop. It’s all about the connection between hand and brain as I write by hand. Er, sometimes there *is* no connection, either – and that’s what gets revised or deleted! 10. Any thing you would like to ask the readers??? What was your favorite time in history, and why? Would you like to travel back then? Orchid, thank you again so much for your kind invitation! Alright, readers, let's see what kind of answer y'all have for Margo's questions. 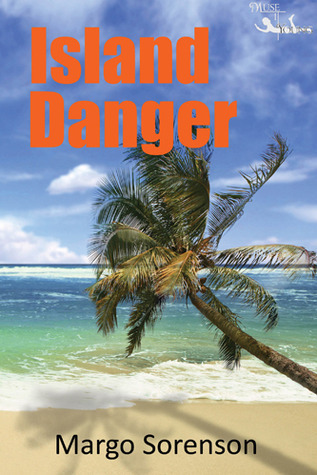 Island Danger by Margo Sorenson, July 27, 2012. Published by MuseItUp Publishing. When fourteen-year-old soccer star Todd arrives in Hawaii, he hears that radical, militant Hawaiian activists have hidden weapons in a nearby ravine to use for their rebellion against the U.S. government to gain Hawaiian independence. Even though he’s warned that people are raising marijuana or “pakalolo” in the ravine, guarding their crops with rifles, pit bulls, and explosives, Todd plans to scout the ravine and find the weapons, hoping he can finally earn his family’s respect and find some adventure to offset his boring summer. What will Todd discover in the ravine that could force him to rethink everything he’s believed? Time of Honor by Margo Sorenson, October 10, 2012. Published by MuseItUp Publishing. Fourteen-year-old Connor’s smart mouth gets her in and—luckily—out of trouble on her prep school’s debate team and in the classroom. On a field trip to the U.K., when she is suddenly catapulted into the year 1272, she finds her royal new friends’ lives are threatened by a conspiracy fueled by greed. When William and Maud learn that their father has been murdered on the Crusade, they beg her to help them find who is plotting against them. William must confront his enemy in battle, but what does Connor discover about herself and her ability to use words well when she tries to save her new friends—and herself?